What if your “mindset” could open doors to everything? Mindset is a muscle. You can LEARN how to apply it, if you’re ready to create real magic in your life. 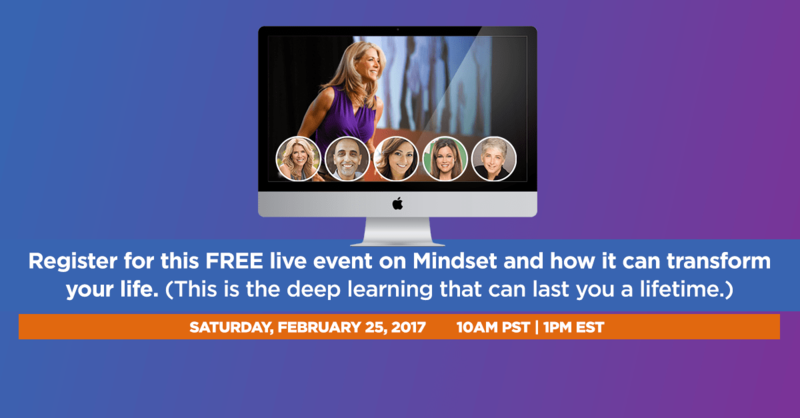 Register for this FREE live event on Mindset and how it can transform your life! Join 4x NYT bestselling author JJ Virgin + other top transformational teachers. The answer isn’t hard, it’s just something that most people don’t know! 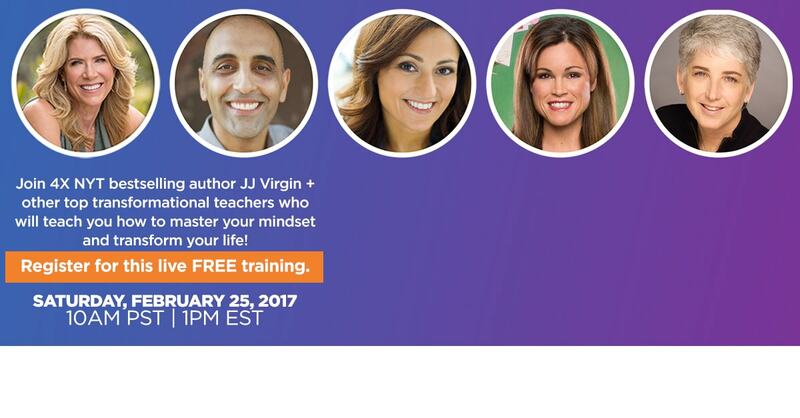 Join me for JJ Virgin’s Live Training, where you’ll find out how to master the strong, positive mindset it takes to transform your life. Whether you want to lose weight, uplevel your finances, be your own boss, or find fulfilling relationships, the first step is always mindset. In just minutes, JJ and a team of leading transformational teachers will show you how to leave behind your anxiety and face challenges with the purpose and courage it takes to achieve your biggest goals. JJ has several top trainers coming to share their most powerful tools with you.